Provide ONE-STOP production sevice from design, manufacturing to sales. High degree of model simulation. Our airplane models are depended on the size of the original airplane. All airplane types and sizes can be tailored to the client's business and needs. We are in accordance with customer’s design concept to strive for each customer satisfied. High flexibility of production process. With a large number of production and micro-production process and management capabilities. Meet the different requirements of customers, provide the most affordable processing price. Our friendly customer service are always standing by for you. 1.OEM/ODM: T/T, 50% as deposit at order and the balance 50% before shipping. 2.Stock product:100% T/T in advance at order. A: Yes, we support OEM/ODM. You can customize aircraft models of different lengths or different painting. 16cm/20cm aircraft models use METAL. More than 30cm aircraft models use RESIN. You aslo can print your LOGO on the base or packaging. However, the cost of the paintng is counted separately. Please contact customer service to get the specific prices. Q: How about the freight? A: 1. Stock products: After payment, will ship within 48 hours. 2. OEM/ODM: Please contact our staff to determine the specific period. Q: How about the after-sales? A: We recommend that you should check goods before receiving . If there is a problem, contact our customer service immediately and refusal. We will handle it as soon as possible. Problems found afterwards, we will not accept return. 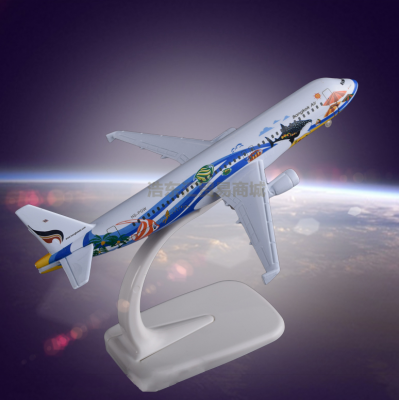 Shenzhenshi Haodonghui Trading Co., Ltd. is a manufacturer that can produce a wide range of aircraft model products. Our aircraft models are divided into two basic groups: resin and metal; and three series: Airbus series: A320 A330 A340 A350 A380; Boeing series: B737 B747 B757 B777 B787; Commercial Aircraft series: 919 ARJ and ect. Our aircraft models have high precision, stable quality and perfect customer service.